We all know this famous hadith. But what does is it saying is require from us? The qualities of love, mercy and compassion are similar in meaning. There are various ways to understand the difference between them. It might be understood that the difference between these feelings are related to the state of the one who experiences them. Love is an emotion that is felt in the heart for the other person persistently and under changing circumstances. Mercy and compassion, by contrast, are felt towards the other person at times when that other person is in a state of weakness. Alternatively, it might be said that we feel love for those who are our family and friends, mercy for others whom we are able to help, and compassion for those whose misfortunes are outside of our ability to help, and for whom we can only feel in our hearts. In this case, there are three levels of feeling. The most particular is that of love. Mercy comes next, and compassion is the third in ranking. These are just two of the possible ways of distinguishing between the feelings of love, mercy, and compassion. Moreover, these feelings translate into words and actions. The love and affection that Muslims must harbor in their hearts for their fellow Muslims should cause them to harbor no malice towards them and to hold no grudges. It should help them to avoid beings suspicious of each other. Compassion dictates that Muslims should share in each other’s joys and sorrows. When a Muslim learns of something good that has befallen another, it is an occasion to rejoice. Likewise, the pain of Muslims anywhere in the world who have been stricken by tragedy should be felt. Muslims should feel the pain when their fellow Muslims are struck down in the road, when Muslim women are being raped or when a Muslim country is attacked of hit with a natural disaster. A believing heart cannot help but feel this pain. Indeed, we must feel the pain when any human being, regardless of their faith, is stricken by injustice or misfortune. Grief and commiseration is the least of our obligations towards our fellow Muslims – and to humanity at large – in times of hardship. 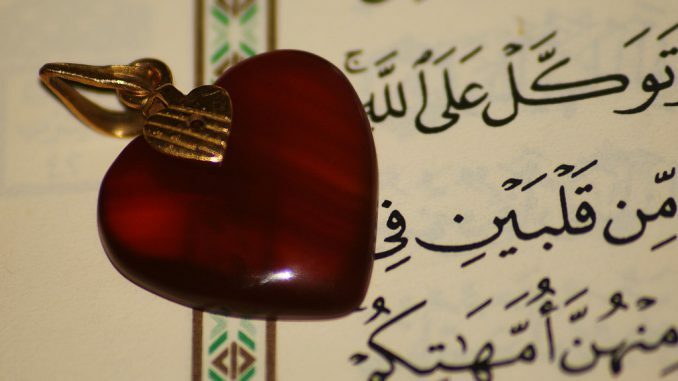 Allah has not commanded us merely to feel grief, but to carry out good works and provide relief. However, such grief can inspire us to noble actions. Many people ask for no more than a word of support or encouragement. Sometimes a little commiseration is all that is needed. A person who is stingy with words is a miser indeed. The least we can manage is to speak the truth publicly and offer prayers for our fellow Muslims when we are alone. Today, the media and the virtual world of the Internet give us so many opportunities to make a difference with our words and to impact positively on public opinion. It may be that an idea that begins on television, or on a website, or on Facebook, may ultimately have an effect on the policies of governments, international organizations, and humanitarian NGOs.